The Sanstha has introduced B.H.M.S. degree course from June 1986 with the permission granted vide Govt. of Maharashtra, Medical Education and Drugs, Dept. Bombay Resolution No. HED/1085/4493/MED -7 dated 21 June 1986 and vide Central Council of Homoeopathy New Delhi, Letter No. 12-9/86/CCH/1533- dated 06/08/1986. 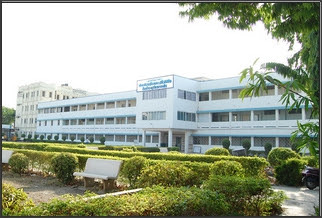 Initially college was affiliated to Dr. Babasaheb Ambedkar Marathwada University, Aurangabad and it is imparting the education leading to the degree of Bachelor of Homoeopathic Medicine and Surgery (B.H.M.S.) from 1998 the Health Sciences have been transferred and affiliated to Maharashtra University of Health Sciences, Nashik. The B.H.M.S. degree course is uniform course in Homoeopathic medicine recommended by the Central Council of Homoeopathy, New Delhi and approved by the Ministry of Health and Family Welfare, New Delhi, Government of India. The college has its own building in the heart of the city. Three separate buildings for college, Hospital & Library has been provided. Hospital & College buildings are of 3 floored. Hospital has provided set up for Ultra-sonography, Endoscopy, 500 m A X-ray, Auto analyzer, and physio-therapy & Yoga Rehabilitation Centre as well as Laboratory for Pathological Investigations in the same building. Attached Hospital is having 25 + 1 (additional) beds for BHMS course (100 intake) and 42 beds for 42 students of 7 PG subjects (M.D. Hom.). Total 67 beds provided as per the MSR-2013. 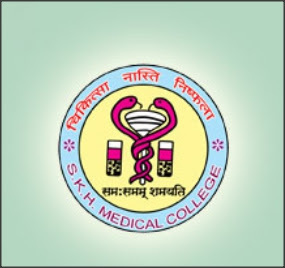 The college has made MOU (Memorandum Of understanding) with well equipped and reputed hospitals of modern medicine like Intensive care Unit, Surgical Hospital and Obstetrics and Gynecology Hospital to get clinical knowledge to the students of the college. The B.H.M.S., B.H.M.S. Graded and M.D. (Hom.) Qualifications of Dr. Babasaheb Ambedkar Marathwada University are included in the second schedule of CCH Act 1973. The college has also N.S.S. Unit & Research Center. It is planned to start international centre for Homoeopathy in the College.